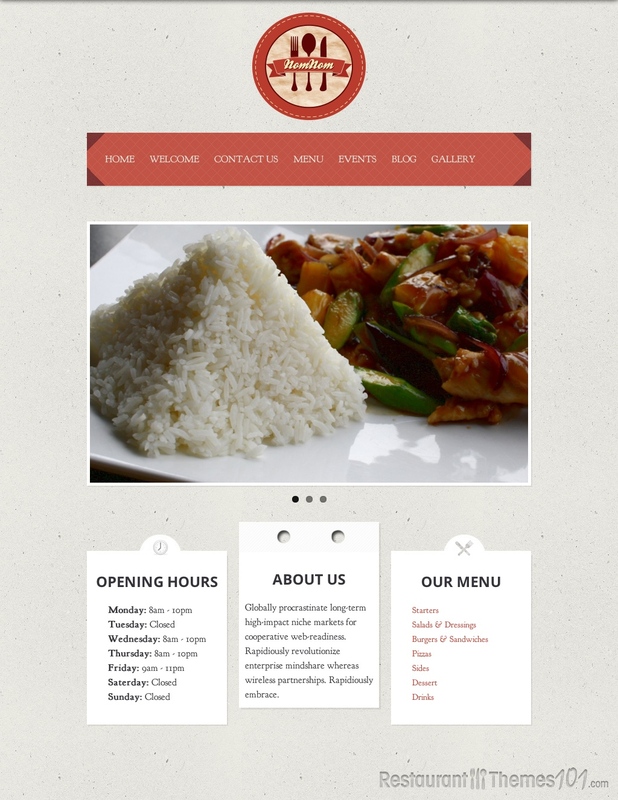 Nomnom is a truly unique restaurant theme for WordPress available for purchase at Mojo Themes. There are several things that set this theme apart from its competition, but mainly, it’s the layout of the theme. At first glance it looks like a normal website, with the options menu on the left hand side. However, you will notice that as you scroll down the page, it just keeps going and going. 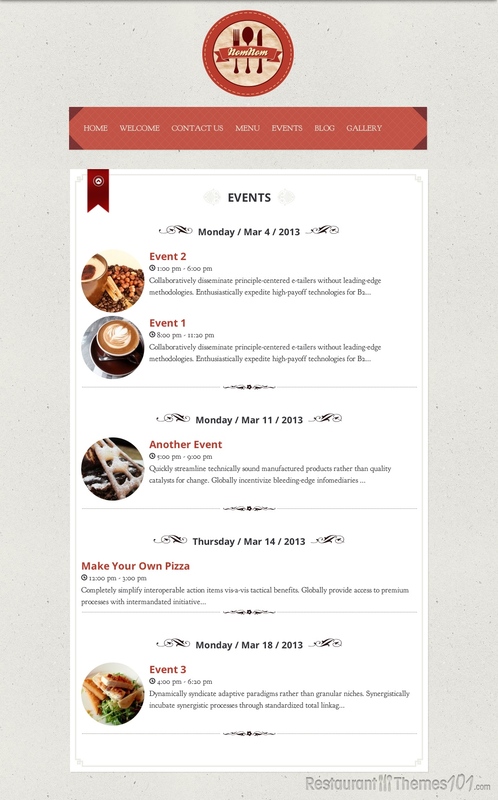 Instead of having separate pages for each section, Nomnom combines them all on the main homepage. The links you see in the options menu will allow you to quickly jump to the section you want, all while staying on the same page. 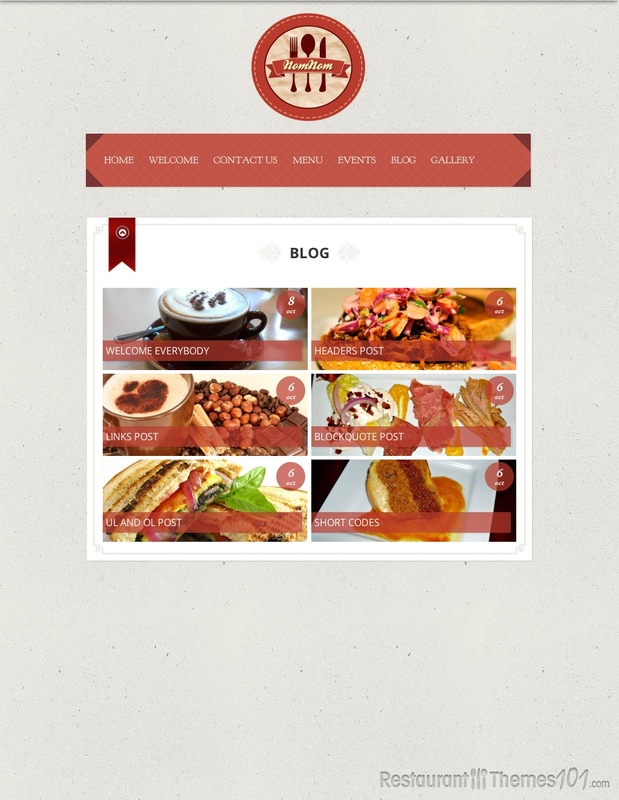 We have yet to see another restaurant theme for WordPress with this clever feature. 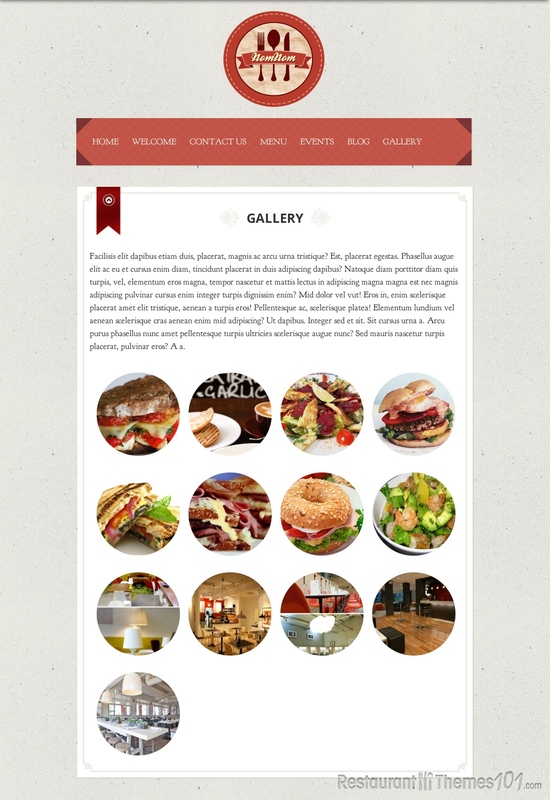 When you view the demo to Nomnom (or see any site that is running this theme) you will notice that the focus is put on the big sliding image gallery, the options menu, and the opening hours. These items are all “above the fold” meaning you don’t have to scroll to see them. This allows readers to quickly and easily see just the most important info. From there, they can scroll down the page for more, or leave with the information they came for. Nomnom has more to offer than just its unique design, however. 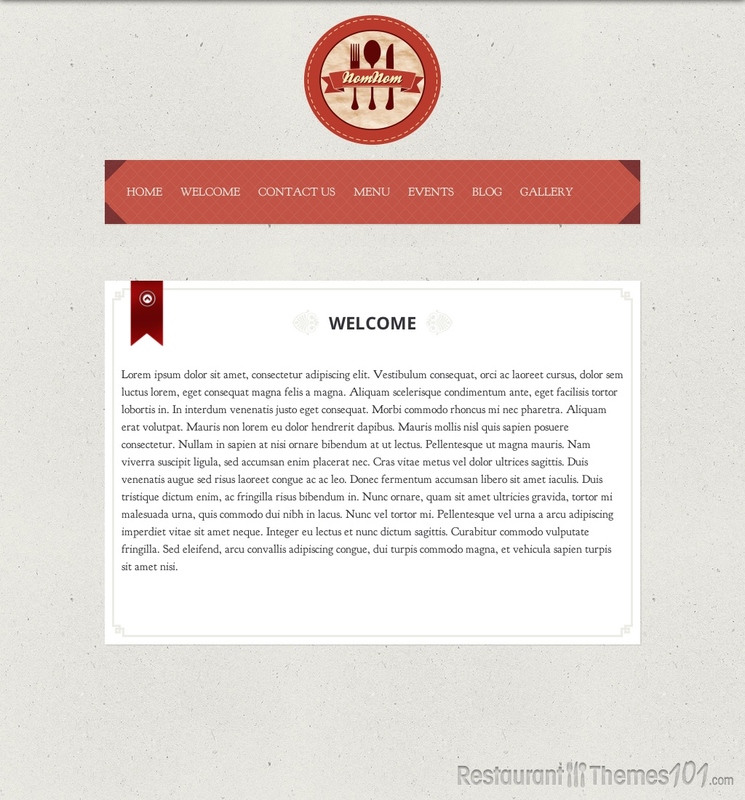 It is a fully responsive theme, meaning it will work on any device, mobile or not. It is also cross-browser compatible, meaning any browser (Internet Explorer, Firefox, Safari, etc.) will open and display it perfectly. 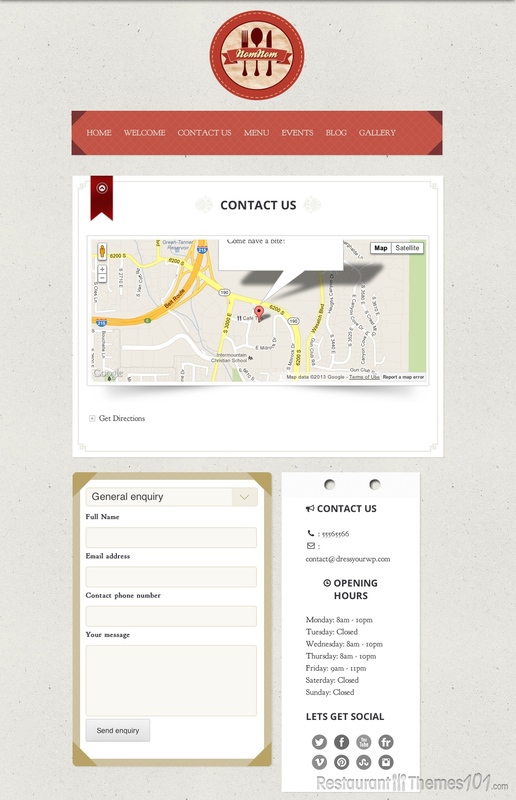 Nomnom offers a variety of customizable features, such as custom color schemes, custom menu layouts, custom events creation (with a dedicated “Events” page), Google Maps integration, and much more!